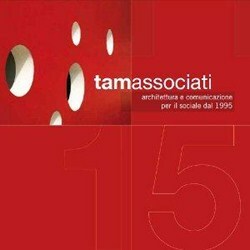 Active in Social Design internationally since the last millennium, TAMassociati combines a civil and professional commitment, working in sustainable architecture, urban planning, landscape design, participatory and educational processes, graphic design and social communication. It is the curatorial team of the Italian Pavilion at the 15th International Architecture Exhibition of La Biennale di Venezia. TAMassociati has displayed its works at numerous exhibitions and international events, including Architecture is Life at the Aga Khan University in Karachi, Pakistan, 2014; Five Projects for a Sustainable World, Cité de l’Architecture et du Patrimoine, Paris, 2014; AFRITECTURE – Building Social Change at the Pinakothek der Moderne in Munich, 2013; the Triennale di Architettura in Milan, 2012; International Architecture Exhibition of La Biennale di Venezia, 2012 and 2010 editions. Currently TAMassociati is working in Uganda, Senegal, Italy and Afghanistan. It has offices in Venice, Bologna, Trieste and Paris.